Freudenberg Filtration Technologies, added a new state-of-the-art cabin air filter production line to its U.S. manufacturing facility in Hopkinsville, Kentucky. With this multi-million dollar investment, the company confirmed its commitment to the U.S. automotive market. Hopkinsville Mayor Carter Hendricks, Walker Wood Thomas, Kentucky State Representative District 8, and Sharon Butts of Hopkinsville Economic Development joined Dr. Erek Speckert, FFT Global VP of Operations and Barry Kellar, FFT Global VP Automotive Filters for a ribbon cutting ceremony that was held on January 26. “We are delighted that this year-long project is complete, and we can continue to provide the world-class product made by our dedicated Hopkinsville workforce to our North American customers,” said Barry Kellar.“Freudenberg Filtration Technologies is an integral part of Hopkinsville community, and we are happy to witness this confirmation of their commitment to our town,” said Hopkinsville Mayor Hendricks. 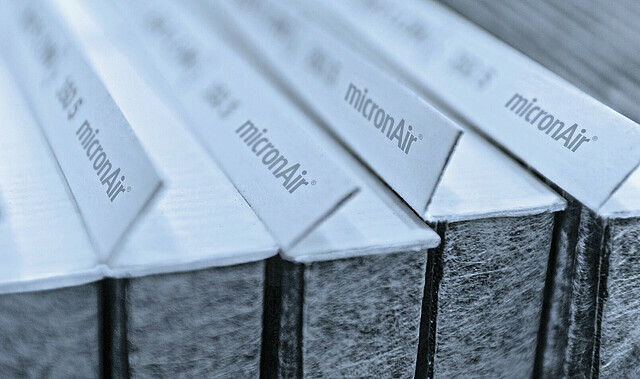 The company that introduced cabin air filters to the North American automotive market in late 1980’s, continues to play a role of market leader through introduction of new and improved products and investments in product development and manufacturing facilities. The newly added high-speed edge band converting line will increase facility’s output and ensure uniformly high quality of its products. Freudenberg Filtration Technologies employs more than 120 people in its Hopkinsville location which houses sales, development and manufacturing.